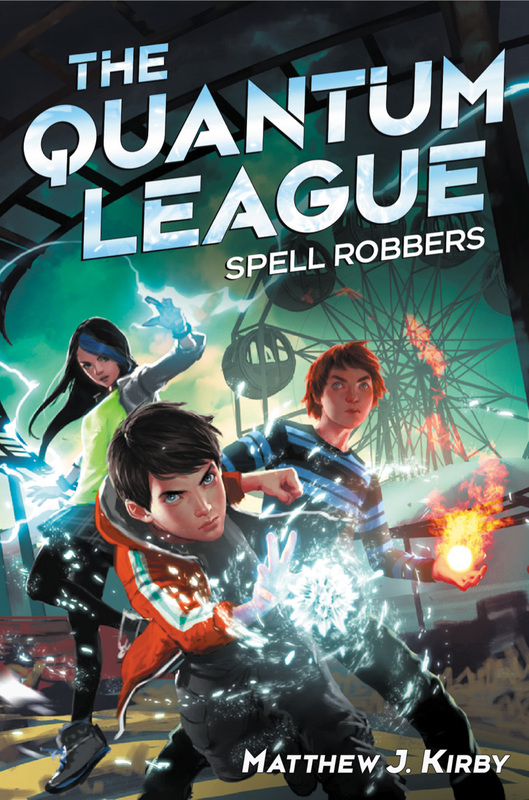 I just finished The Quantum League Spell Robbers and I could not put it down. Will there be any revealed secrets from Sasha? Hello I finoshed this book 4 minutes ago and I flashed to my phone and typed, “Quantum League book 2”!!! Im so excited for the 2nd book to come out!! same dude i cannot wait for the book 2 to come out and i think richter is the man that is mystery class three ability. My son is 8 years old and he discovered his pasion for reading. He just finished reading The Quantum League #1 and started looking for the book # 2 to found out that it hasn’t been published yet. He is so determined to enail the publisher and asked for the second book. In hope they listen. In times when kids just want to play video games, I think that good books like this that keep kids interested and looking for the second, third etc part.. its worth publishing. Hi Matthew, I asked u before when the second book is coming out and that was a few months ago. I recently checked up on the website with some time between football practice and school and i was wondering if u have gotten any news on the release date of the second book? OH, and do you have a title for the second book yet? Thank you for reading. I love your books! Clock Work three and spell robbers are my favorite books. Hey! I really want to read the second book. So when it comes out you have to have the third out so I can read it the next day! Keep up writing! Can you tell us the title? I literally have been waiting for 2 whole years! I love reading your books and my friend and I want to read the Arctic Code! Book 2! When will it come out? The Quntum League spell robbers book was the best book I have ever read. Will Ben reattach with his mother and will Sasha parents ever be revealed? Can I now what the title of the 2nd book. Will Ben go back to the league? Pleasure to rite to you and please rite back. Let me know when the 2nd book will be published. Great book. I love how u end it saying that HE was going to find a way to reattach himself. I’m looking forward to the next books. Almost done with spell robbers, so far so awesome was Sasha detached from her parents or are they dead. Why does Peter not miss his parents like Ben dies? Can’t wait for number two!! It’s literally been 2 years since I have read this book and so urgently waiting for book two. My Best friend is dying to read it and he is quite impatient. I’m just curious what happened? And I hope it comes out this year. I, myself, am a teenager and I originally bought this book for my 10 year old brother. But I’m in the 10th grade and have read this book about 6 times already. The second book needs to be published soon. I read this book a while ago, and I cannot wait until the second book in the series comes out. When can I expect to see it in book stores? Thank you for reading, and I hope you reply. Please finished the second and third book I’ve been waiting for more than 2 years. The first book was published in 2014, and the sequel still isn’t out? What is this publisher doing?? Sequel needed!! I absolutely love this book! I read it in second grade, I’m now in 7th, and have been looking for it ever since. I finally found it and have been reading all the time! Can’t wait for book 2!!!!!!!! Hey Matthew. Just finished the 1st book. How come there are no sneak peaks for the next book?I already can’t wait for the next book!Will Ben reattach himself? Hope you can get the book published:). Goodafternoon Matthew, I’m just another fan of your book The Quantum League. Hoping the second book will come out soon because I would love to read it. It’s been a while since I heard a update from the second book. Is a second book going to be released? Or was it rejected? I finished reading ‘The Quantum League’ book one and was SO impressed by it. I have pretty much been non-stop looking for the second one’s release date. Also, I think the red-headed guy who broke Ben’a first Locus should be Peter’s father. Just a thought, and KEEP READING KIDS. Just had to get that out. Nice book, bye. I made a mistake . Ben’s Locus*. I am a huge fan of your book, and it would be nice if you could update your page when you get news about when it would be in stores. In the end of the book when Ben walks off, it made so mad that I was left on a cliff hanger!???? Please respond soon. I really liked the first book and am doing it as my book report and I am wondering if you by chance know when the second book will come out? I know you’re all eager to read book 2, and I wish I had news for you. The situation hasn’t changed from the last time I updated you. The 2nd book is written. It’s a mafia story that shows a different side of the criminal underworld. Ben actually finds himself fighting *against* the Quantum League. I really like where the story goes. It hasn’t been rejected, but the truth is, I don’t know when it will be published. My only recommendation is to let your bookstores know you really want it. Unfortunately, the decision is out of my hands. Thank you for responding i like when the author gets back to his readers and i loved the assasins creed book. Are you going to write that second book to the assasins creed book or is anothor author goingto write it. If you know what year the second quantnum league book will come out please post it. Read your Quantum league book best book ever wanted to read the second book but I could not find it when will you be publishing the second book would love to read it . Our son has had a lot of trouble advancing his reading comprehension and retention and have struggled to find him a book that would push him to want to read. We found this exact result from the Quantum League Book #1 and were ecstatic to hear that it would be a series. He just finished he book and we were looking to order the ENTIRE series givin his response. Please please forward theses messages to your publisher so that they can see that there IS a huge market for your books!! I always wondered, what happened to Sasha? And why does Cameron only activate lightning? And why is the sky blue? Why is grass green? Why are tomatoes a fruit? Will we ever know why Juliet loved Moreo??????? WHEN DOES THE SECOND BOOK COME OUT??????!!!!!!!! I really like your books! When will #2 of Quantum League come out?!. . . I agree with Jacob we all nead to know please tell us soon:):):):):):):)::):):):)???????? Has it all ready out?????? The author has already posted (top left of the blog) that the book is already written and the publisher has it. It has no release date; the author asks that you contact your local book shops and ask them to get it in! My suggestion to the author is this; If the publisher still has not decided to publish your book within a reasonable amount of time, would you be willing to release it to your fans (of the first novel) in a PDF file? That way, at least those who are begging to read it may have their wish, and spread the word about how fantastic a novel it is, thus helping to get it published in the future. I know my son, for one, would buy it (even after reading it as a PDF) immediately.